Vital records of Amesbury, Massachusetts to the end of the year 1849, , at https://archive.org/details/vitalrecordsofam00ames . Topsfield, Mass. 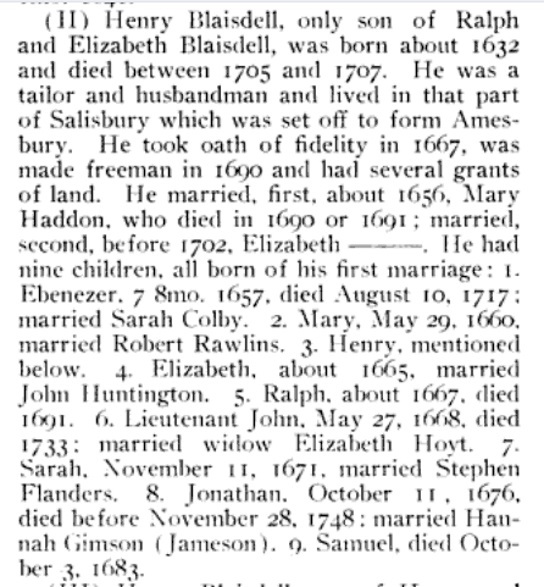 : Topsfield Historical Society, (1913) , p. 286. 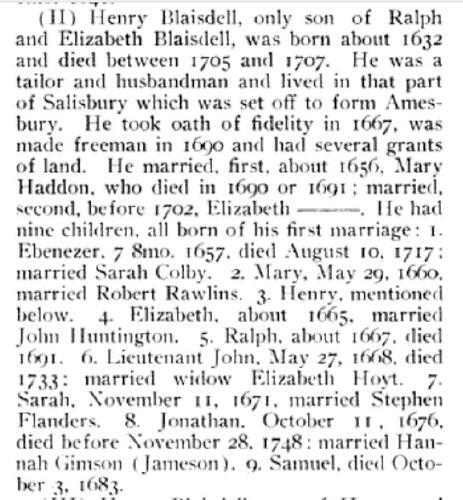 Hannah or Lydia Blaisdell was born perhaps about 1731.